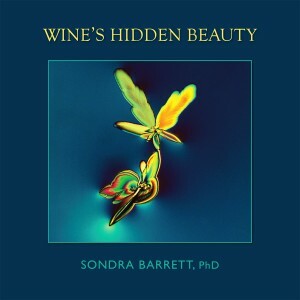 SHOP | Sondra Barrett, Ph.D. | Sondra Barrett, Ph.D.
BOOK WINE’S HIDDEN BEAUTY, FIRST EDITION, very few copies are left. Purchase your personally signed book here. Please add instructions for how you want Dr. Barrett to sign your book. Next time you taste some wine, scribble pictures that come to mind, those hidden messages written in the language of wine. Need help to discover the diverse personalities of wine? Want to deepen your pleasure of wine? Wine’s Hidden Beauty will guide you through the inner evolution of juice changing into greater complexity as it transforms into wine. It offers a visual experience of styles and stories of wine, unlike anything done before. Explore your pictures and perceptions of taste as you share a wonderful glass of wine with a friend. Specifics: French flaps soft cover, full-color gift book, 100 color photographs,133 pages, 10 in x 10 in.